A quarterback, colloquially known as the "signal caller", is a position in American and Canadian football. Quarterbacks are members of the offensive team and line up directly behind the offensive line. In modern American football, the quarterback is usually considered the leader of the offensive team, and is often responsible for calling the play in the huddle. 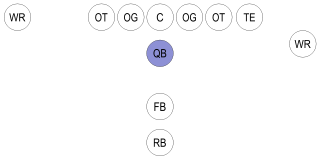 The quarterback also touches the ball on almost every offensive play, and is the offensive player that almost always throws forward passes. Brees earned the starting job with the Chargers in 2002 and made the Pro Bowl in 2004. Nine months after suffering a dislocation in his right shoulder joint and a tear of the labrum and rotator cuff, Brees signed with the Saints as a free agent in 2006. He had immediate success in New Orleans, eventually leading the Saints to their first Super Bowl in Super Bowl XLIV, resulting in a 31–17 victory over the Indianapolis Colts. The Pro Bowl is the all-star game of the National Football League (NFL). From the merger with the rival American Football League (AFL) in 1970 up through 2013 and since 2017, it is officially called the AFC–NFC Pro Bowl, matching the top players in the American Football Conference (AFC) against those in the National Football Conference (NFC). From 2014 through 2016, the NFL experimented with an unconferenced format, where the teams were selected by two honorary team captains, instead of selecting players from each conference. The players were picked in a televised "schoolyard pick" prior to the game. In anatomy, the rotator cuff is a group of muscles and their tendons that act to stabilize the shoulder. Of the seven scapulohumeral muscles, four make up the rotator cuff. The four muscles are the supraspinatus muscle, the infraspinatus muscle, teres minor muscle, and the subscapularis muscle. The Super Bowl is the annual championship game of the National Football League (NFL) where the champion of the National Football Conference (NFC) competes against the champion of the American Football Conference (AFC). The game is the culmination of a regular season that begins in the late summer of the previous calendar year. Normally, Roman numerals are used to identify each game, rather than the year in which it is held. For example, Super Bowl I was played on January 15, 1967, following the 1966 regular season. The sole exception to this naming convention tradition occurred with Super Bowl 50, which was played on February 7, 2016, following the 2015 regular season, and the following year, the nomenclature returned to Roman numerals for Super Bowl LI, following the 2016 regular season. The upcoming Super Bowl is Super Bowl LIV, scheduled for February 2, 2020, following the 2019 regular season. Since joining the Saints, he has led all NFL quarterbacks in touchdowns, passing yards, and 300-yard games. 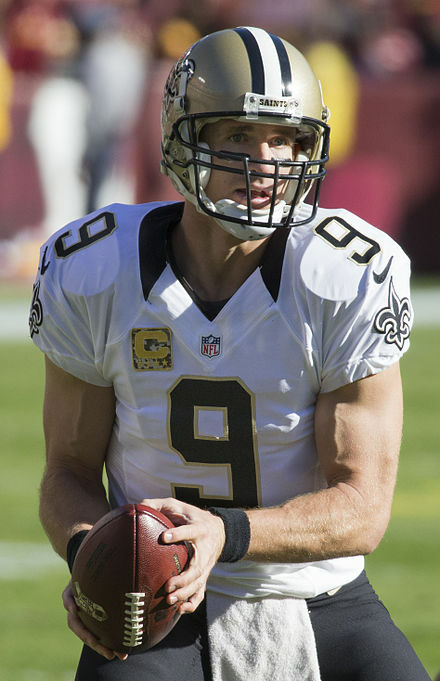 Brees holds the NFL records for career pass completions, career completion percentage, career passing yards, is second in career touchdown passes, third in regular season career passer rating, and fourth in postseason career passer rating. In 2012, he broke Johnny Unitas' long-standing record of consecutive games with a touchdown pass. He has passed for over 5,000 yards in a season five times—no other NFL quarterback has done so more than once. He has led the NFL in passing yards a record seven times and in passing touchdowns a record-tying four times. He was the NFL's Comeback Player of the Year in 2004, the Offensive Player of the Year in 2008 and 2011, and the MVP of Super Bowl XLIV. Sports Illustrated named Brees its 2010 Sportsman of the Year. John Constantine Unitas, nicknamed "Johnny U" and "The Golden Arm", was an American football player in the National Football League (NFL). He spent the majority of his career playing for the Baltimore Colts. He was a record-setting quarterback, and the NFL's most valuable player in 1959, 1964, and 1967. 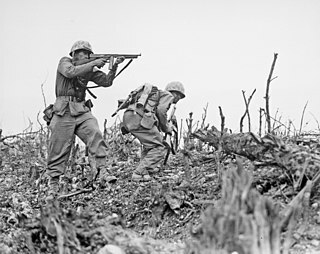 The Battle of Okinawa, codenamed Operation Iceberg, was a major battle of the Pacific War fought on the island of Okinawa by United States Marine and Army forces against the Imperial Japanese Army. The initial invasion of Okinawa on April 1, 1945, was the largest amphibious assault in the Pacific Theater of World War II. The 82-day battle lasted from April 1 until June 22, 1945. After a long campaign of island hopping, the Allies were planning to use Kadena Air Base on the large island of Okinawa as a base for Operation Downfall, the planned invasion of the Japanese home islands, 340 mi (550 km) away. The Dallas Cowboys are a professional American football team based in the Dallas–Fort Worth metroplex. The Cowboys compete in the National Football League (NFL) as a member club of the league's National Football Conference (NFC) East division. The team is headquartered in Frisco, Texas, and plays its home games at AT&T Stadium in Arlington, Texas, which opened for the 2009 season. The stadium took its current name prior to the 2013 season. The Cowboys joined the NFL as an expansion team in 1960. The team's national following might best be represented by its NFL record of consecutive sell-outs. The Cowboys' streak of 190 consecutive sold-out regular and post-season games began in 2002. The franchise has made it to the Super Bowl eight times, tied with the Pittsburgh Steelers and the Denver Broncos for second most Super Bowl appearances in history, just behind the New England Patriots record eleven Super Bowl appearances. This has also corresponded to eight NFC championships, most in the NFC. The Cowboys have won five of those Super Bowl appearances, tying them with their NFC rivals, the San Francisco 49ers; both are second to Pittsburgh's and New England’s record six Super Bowl championships. The Cowboys are the only NFL team to record 20 straight winning seasons (1966–85), in which they missed the playoffs only twice. The Texas A&M Aggies men's basketball team represents Texas A&M University in NCAA Division I college basketball. The Aggies compete in the Southeastern Conference. Since 1998, the teams has played its home games at Reed Arena, a 12,989-capacity arena in College Station, Texas on the campus of Texas A&M University. The Aggies are currently coached by Buzz Williams who was hired on April 3, 2019 prior to the start of the 2019-2020 season. Martin Ray Akins is a former college All-American football player and politician. He started as quarterback for the Texas Longhorns in the early 1970s and was the only Longhorn quarterback to start three seasons directing the wishbone offense, and the only wishbone quarterback to ever be an All-American. He was later the Democratic nominee for Texas State Comptroller in 2002. The Texas Longhorns football program is the intercollegiate team representing the University of Texas at Austin in the sport of American football. The Longhorns compete in the NCAA Division I Football Bowl Subdivision as a member of the Big 12 Conference. The team is coached by Tom Herman since 2017, and home games are played at Darrell K Royal–Texas Memorial Stadium in Austin, Texas. Flag football is a version of American football where the basic rules of the game are similar to those of the mainstream game, but instead of tackling players to the ground, the defensive team must remove a flag or flag belt from the ball carrier ("deflagging") to end a down, and contact is not permitted between players; it will result in a penalty for the team that initiates it. St. Andrew's Episcopal School, also known as SAS, is a private school located in Austin, Texas, United States. St. Andrew's enrolls students in grades K-12 and is divided into three divisions: Lower, Middle, and Upper Schools. The Lower and Middle Schools share a campus in central Austin, while the Upper School campus is in the southwestern part of the city. A varsity letter is an award earned in the United States for excellence in school activities. A varsity letter signifies that its winner was a qualified varsity team member, awarded after a certain standard was met. After a relatively uneventful freshman season, Brees was given his first start during his sophomore year by Boilermakers head coach Joe Tiller and became an integral part of Tiller and Jim Chaney's unorthodox "basketball on grass" spread offense, serving as offensive captain during his junior and senior years. He had the option to make himself available for the 2000 NFL Draft but chose to return for his senior year to complete his studies. In 2000, he led the Boilermakers to memorable last-minute upsets against top-ranked Ohio State  and Michigan en route to the Boilermakers' first Big Ten championship (shared with Michigan and Northwestern) in over three decades. The Ohio State game was replayed on ESPN Classic and is widely remembered for Brees' four interceptions and 64-yard touchdown pass to Seth Morales with 1:55 remaining to seal a vital 31–27 win, prompting commentator Brent Musburger to exclaim "Holy Toledo!" and a post-game field rush afterwards. Due to head-to-head victories over Michigan and Northwestern, Purdue won the invitation to the 2001 Rose Bowl,  Purdue's first appearance there since 1967, where Purdue lost by ten points to the Washington Huskies. In his college career, Brees set two NCAA records, 13 Big Ten Conference records, and 19 Purdue University records. He left Purdue with Big Ten Conference records in passing yards (11,792),  touchdown passes (90), total offensive yards (12,693), completions (1,026), and attempts (1,678). He tied an NCAA record with the longest pass ever (99 yards), to receiver Vinny Sutherland against Northwestern on September 25, 1999 and held the NCAA record for pass attempts in a game (83) for fifteen years, until Washington State quarterback Connor Halliday broke it in October 2013. 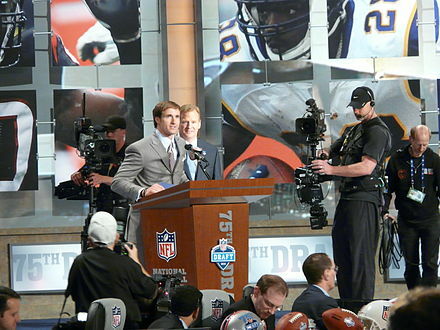 Brees' career with the Chargers was in jeopardy after San Diego acquired NC State's Philip Rivers after the 2004 NFL Draft. With a looming quarterback controversy, he performed well through training camp and the preseason, while Rivers held out during training camp, essentially guaranteeing him the job to begin the season with Rivers as his backup. Brees' mother, Mina Brees, died on August 7, 2009, aged 59 from a prescription drug overdose. The death was ruled a suicide. Brees was briefly excused from training camp for a "family matter". In 2006, Brees described their relationship as "nonexistent" ever since he refused to hire his mother as his agent when he entered the NFL. After her death, Brees stated that this quote was three years old and that his relationship with his mother had been improving. In his autobiography, released almost a year later, he wrote that their relationship was on the mend  and that she had been looking forward to her meeting his son; her first grandchild. On March 30, 2010, Brees became the national spokesperson for AdvoCare International,  a multi-level marketing company,  which produces weight management, nutritional supplements, and personal care products. ↑ The norm for NFL completion percentage is to round to the nearest tenth, but technically speaking, Brees only completed 69.985% of his passes. James Samuel Everett III is a former professional American football quarterback who played for twelve seasons in the National Football League (NFL). Lucas Patrick McCown is a former American football quarterback. He played college football for the Louisiana Tech University Bulldogs, and was drafted by the Cleveland Browns in the fourth round of the 2004 NFL Draft. He also played for the Tampa Bay Buccaneers, Jacksonville Jaguars, Atlanta Falcons, New Orleans Saints, and a brief stint with Dallas Cowboys. He is the younger brother of current New York Jets quarterback Josh McCown and former Texas A&M quarterback Randy McCown. Ryan Joseph Fitzpatrick, nicknamed FitzMagic, is an American football quarterback for the Miami Dolphins of the National Football League (NFL). He was drafted by the St. Louis Rams in the seventh round of the 2005 NFL Draft. He played college football at Harvard and was the first quarterback in school history to rush for over 1,000 yards in a career. Marques E. Colston is a former American football wide receiver. He played college football at Hofstra University, and was drafted by the New Orleans Saints in the seventh round of the 2006 NFL Draft. He helped the Saints achieve victory in Super Bowl XLIV with seven receptions for 83 yards against the Indianapolis Colts. He is the Saints' all-time franchise leader in receiving yards, yards from scrimmage, receiving touchdowns, total touchdowns, and total receptions. John Matthew Stafford is an American football quarterback for the Detroit Lions of the National Football League (NFL). He was raised in Dallas, Texas, and went to Highland Park High School. He attended the University of Georgia, where he played football for the Bulldogs, and was drafted by the Lions first overall in the 2009 NFL Draft. Matthew Thomas Ryan, nicknamed Matty Ice, is an American football quarterback and team captain for the Atlanta Falcons of the National Football League (NFL). After playing college football for Boston College, Ryan was drafted by the Falcons with the third overall pick in the first round of the 2008 NFL Draft. Cameron Jerrell Newton is an American football quarterback for the Carolina Panthers of the National Football League (NFL). He played college football at Auburn and was drafted as the first overall pick by the Panthers in the 2011 NFL Draft. Newton is the only player in the modern era to be awarded the Heisman Trophy, win a national championship, and become the first overall pick in an NFL draft within a one-year span. He was the 2011 NFL Rookie of the Year, is a three-time Pro Bowler, and was named the NFL MVP in 2015. The 2000 St. Louis Rams season was the team's 63rd year with the National Football League and the sixth season in St. Louis. For the first time in franchise history, the Rams entered the season as the defending Super Bowl champions. The Rams finished the regular-season with a record of 10–6 but would go on to lose to the New Orleans Saints in the Wild Card round of the playoffs. They led the NFL in scoring for a second straight year with 540 points. The Rams became the first team in NFL history to score more than 500 points on offense, while allowing more than 450 points on defense. The 2009 New Orleans Saints season was the franchise's 43rd season in the National Football League (NFL). It was the most successful season in franchise history, culminating with a victory in Super Bowl XLIV. The Saints recorded a franchise record 13 regular season victories, an improvement on their 8–8 record and fourth-place finish in the National Football Conference (NFC)'s southern division from 2008. As a result, the Saints advanced to the playoffs for the first time since 2006. For head coach Sean Payton, this was his fourth season with the franchise, commanding a club overall record of 36–24, though it also marked the first year of the New Orleans Saints bounty scandal that would ultimately result in his unprecedented one-year suspension from the league. Russell Carrington Wilson is an American football quarterback for the Seattle Seahawks of the National Football League (NFL). Through his first 7 NFL seasons, Wilson has been named to six Pro Bowls and has started in two Super Bowls, winning Super Bowl XLVIII. He holds the record for most wins by an NFL quarterback through 7 seasons (75) and is one of two quarterbacks in NFL history with a career passer rating over 100. On April 15, 2019, Wilson signed a four-year, $140 million contract extension with the Seahawks, making him the highest paid player in the NFL. Mark Valentino Ingram Jr. is an American football running back for the Baltimore Ravens of the National Football League (NFL), last playing for the New Orleans Saints. He played college football for the University of Alabama, won the Heisman Trophy, and was a member of a national championship team. He was drafted by the New Orleans Saints in the first round of the 2011 NFL Draft. Nicholas Edward Foles is an American football quarterback for the Jacksonville Jaguars of the National Football League (NFL). He played college football at Arizona and was drafted by the Philadelphia Eagles in the third round of the 2012 NFL Draft. He has also played for the St. Louis Rams and Kansas City Chiefs. Jimmy Graham is an American football tight end for the Green Bay Packers of the National Football League (NFL). He played only one year of college football at the University of Miami, after playing four years of basketball. He was drafted by the New Orleans Saints in the third round of the 2010 NFL Draft. The Falcons–Saints rivalry is a divisional rivalry in the NFC South of the National Football League (NFL) between the Atlanta Falcons and New Orleans Saints. The series is by far the oldest and most established rivalry in the division. Founded one year apart, the Falcons and Saints were the first two NFL franchises in the Deep South. They have shared some important players, such as kicker Morten Andersen, Bobby Hebert, and Joe Horn. They have also drawn coaches from the same families, and even shared a head coach: recent Falcons coach Jim L. Mora is the son of longtime Saints coach Jim E. Mora, and former Saints and Falcons coach Wade Phillips is the son of former Saints coach Bum Phillips. The 2011 New Orleans Saints season was the franchise's 45th season in the National Football League, the 36th to host home at the Mercedes-Benz Superdome and the sixth under head coach Sean Payton. During Week 16, Drew Brees broke the single season passing record set by Dan Marino. Brees ended the season with 5,476 passing yards, an NFL record. The team also broke the record for offensive yards from scrimmage with 7,474 and Darren Sproles broke the record for all purpose yards, with 2,696. The Saints also finished second in scoring for total points with 547, and finished second for points per game with 34.2 points and sacks with 24. Jared Thomas Goff is an American football quarterback for the Los Angeles Rams of the National Football League (NFL). He played college football at University of California, Berkeley and was a first-team All-Pac-12 quarterback in 2015. He was selected by the Rams with the first overall pick of the 2016 NFL Draft. He started his rookie season as the backup to Case Keenum, eventually taking over as the starter during the latter half of the season. In 2018, Goff helped lead the Rams to a 13–3 record and a trip to Super Bowl LIII, the franchise's first Super Bowl appearance since the 2001 season, but lost to the New England Patriots 13-3 in a rematch of that season's Super Bowl. He has been selected to two Pro Bowls. Michael William Thomas Jr. is an American football wide receiver for the New Orleans Saints of the National Football League (NFL). He played college football for Ohio State University. Thomas holds the NFL record for the most receptions by a player through his first three seasons, with 321. Thomas led the league in receptions in the 2018 season. ↑ "Former Cowboys fan Drew Brees has 'extra motivation' this week". SportsDay. December 19, 2012. Retrieved February 12, 2019. ↑ "News at 10 P.M.". WWL-TV. November 3, 2009. Drew also told Juan [Kincaid] that the correct pronunciation of his last name is "breece", not "breeze". He says the mispronunciation caught on in Middle school, and rather than fight it he just went with it. ↑ Sherman, Rodger (October 9, 2018). "The Case for Drew Brees As the Quarterback GOAT". The Ringer. Retrieved February 20, 2019. ↑ Layden, Tim (August 16, 1999). "Drew Brees: About Face". 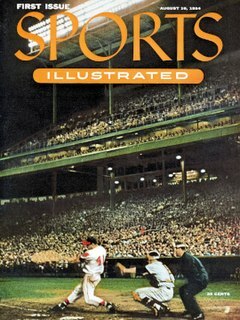 Sports Illustrated. 91 (6): 62–68. Archived from the original on December 5, 2009. ↑ Morale, Amos (December 2, 2014). "Drew Brees says reports about the Saints replacing him have 'absolutely no validity'". nola.com. Retrieved February 20, 2019. 1 2 3 4 5 Layden, Tim (2010). "Sportsman of the Year". Sports Illustrated. 113 (21): 56. 1 2 3 "Sportsman Of The Year Drew Brees". Sports Illustrated. December 6, 2010. 1 2 3 4 "The Joy of Sacks". Texas Monthly. January 2003. 1 2 "Focused and Having Fun, Drew Brees Tries to Keep Dreams in Check". Purdue University Athletics. April 24, 1999. 1 2 3 "Drew Brees Book Excerpt: 'Coming Back Stronger'". ABC News. July 6, 2010. 1 2 "Drew Brees". New Orleans Saints. Retrieved January 2, 2011. ↑ "Drew Brees' greatest influence might be his grandfather, Ray Akins". The Times-Picayune. December 22, 2012. ↑ "Drew Brees the athlete deserves credit". The Times-Picayune. February 2, 2010. ↑ "Baylor Bears – Baseball: Reid Brees profile". baylorbears.com. 1 2 Bishop, Greg (February 5, 2010). "Brees's Colleagues See an Amazing Athlete Within". The New York Times. 1 2 "'Cool Brees' is hot commodity". The Baltimore Sun. September 1, 2000. ↑ "Drew Brees". NFL. Retrieved January 2, 2011. 1 2 "Purdue University Athletics – Football – Profile: Drew Brees". Purdue University Athletics . Retrieved January 2, 2011. ↑ "All-USA high school football". USA Today. January 9, 1997. ↑ "Football All-Stars" (PDF). Texas High School Coaches Association. ↑ "'A Football Life': The LT and Brees connection". NFL. September 3, 2013. ↑ "Bohls: Brees left home, but made it proud". Austin American-Statesman. February 19, 2013. ↑ "Game Manager". Krannert Magazine (K-Online). Purdue — Krannert School of Management. 11 (2). Fall 2010. ↑ "Delta Delta Chapter of Sigma Chi Fraternity". thesighouse.com. Archived from the original on January 19, 2015. Retrieved January 4, 2015. 1 2 "Purdue coach Tiller's spread offense leaves mark". USA Today. September 24, 2008. ↑ "Drew's Bio". DrewBrees.com. Archived from the original on January 3, 2011. Retrieved January 2, 2011. ↑ "NCAA Football – Ohio State vs. Purdue". USA Today. October 28, 2000. ↑ "Football Game Notes – vs. No. 4 Ohio State". Purdue University Athletics. October 28, 2013. ↑ "Best Wins of the Tiller Era #1 Ohio State 2000". Hammer & Rails. SB Nation. May 27, 2008. ↑ "Mr. Cool — Quarterback Brees has a knack for coming through in the clutch". U-T San Diego. September 8, 2002. Archived from the original on April 30, 2015. ↑ "Purdue wins share of Big Ten title". ESPN. November 18, 2000. ↑ "Maxwell Award Winner – Drew Brees". Maxwell Football Club. ↑ "2001 Today's Top VIII reflect student-athlete leadership". NCAA. December 18, 2000. ↑ "First Team All-Americans". Purdue University Athletics. Archived from the original on May 1, 2018. Retrieved August 10, 2014. 1 2 "Purdue Graduation Briefs – Brees throws touchdowns in game of life". purdue.edu. April 27, 2001. ↑ "Drew Brees". Sports Illustrated. September 5, 2013. Archived from the original on September 24, 2014. ↑ "Purdue's Brees heads 2000 football Academic All-Americans". NCAA. December 18, 2000. Archived from the original on September 24, 2014. ↑ "Media Guide – Academic All-Big Ten Honorees" (PDF). Purdue University Athletics. 2007. p. 51. ↑ "Conference Medal of Honor Winners" (PDF). ↑ "Three NFF Scholar-Athletes Picked In NFL Draft". National Football Foundation. April 27, 2001. ↑ "Brees Named National College Scholar-Athlete". Purdue University Athletics. November 1, 2000. ↑ "Brees Named Football Most Valuable Player". Purdue University Athletics. Retrieved February 20, 2019. ↑ "Week 1 Cradle Of Quarterbacks Feature: Drew Brees, 1997–2000". Purdue University Athletics. August 30, 2010. ↑ "PURDUESPORTS.COM – Purdue University Official Athletic Site – On Campus". www.purduesports.com. Archived from the original on April 23, 2013. Retrieved May 9, 2013. ↑ "Drew Brees – 1990s Best Quarterbacks". Big Ten Network. ↑ "'Big Ten Icons' Countdown Continues With Brees". Purdue University Athletics. September 3, 2010. ↑ "'Big Ten Icons' to Count Down Conference's All-Time Top 50 Student-Athletes". Big Ten Conference. March 4, 2010. Archived from the original on October 29, 2013. Retrieved August 10, 2014. ↑ "Big Ten Icons – Drew Brees". bigtenicons.com. Archived from the original on September 7, 2010. ↑ "Kiper's first-round draft projection". ESPN. March 29, 2001. 1 2 "Trade works well as Chargers get Tomlinson, then Brees". AP at SI.com . April 21, 2001. Retrieved January 19, 2010. ↑ "Kansas City Chiefs at San Diego Chargers – November 4th, 2001". Pro-Football-Reference.com. Retrieved December 30, 2017. ↑ "Brees named Chargers' starting QB". United Press International. August 19, 2002. Retrieved December 8, 2017. ↑ "Drew Brees 2002 Game Log". Pro-Football-Reference.com. Retrieved December 30, 2017. ↑ "2003 San Diego Chargers Statistics & Players". Pro-Football-Reference.com. Retrieved December 30, 2017. ↑ "Drew Brees 2003 Game Log". Pro-Football-Reference.com. Retrieved December 30, 2017. ↑ "2004 NFL Draft Listing". Pro-Football-Reference.com. Retrieved March 21, 2018. ↑ "2004 San Diego Chargers Statistics & Players". Pro-Football-Reference.com. Retrieved February 13, 2019. ↑ "Oakland Raiders at San Diego Chargers – October 31st, 2004". Pro-Football-Reference.com. Retrieved March 22, 2018. ↑ "2004 NFL Week 8 Leaders & Scores". Pro-Football-Reference.com. Retrieved March 22, 2018. ↑ "Drew Brees 2004 Game Log". Pro-Football-Reference.com. Retrieved December 30, 2017. ↑ "Once maligned, now divine". U-T San Diego. January 7, 2005. ↑ "2004 NFL Pro Bowlers". Pro-Football-Reference.com. Retrieved March 22, 2018. ↑ Associated Press. (October 1, 2005). Brees is NFL comeback player of year CBC.ca.com. Retrieved December 20, 2009. ↑ "Wild Card - New York Jets at San Diego Chargers - January 8th, 2005". Pro-Football-Reference.com. Retrieved February 13, 2019. ↑ "San Diego Chargers – Players". The San Diego Chargers. Archived from the original on November 4, 2013. Retrieved August 17, 2012. ↑ "San Diego Chargers at New England Patriots – October 2nd, 2005". Pro-Football-Reference.com. Retrieved March 22, 2018. ↑ "2005 NFL Week 4 Leaders & Scores". Pro-Football-Reference.com. Retrieved March 22, 2018. ↑ "Drew Brees 2005 Game Log". Pro-Football-Reference.com. Retrieved December 30, 2017. ↑ "2005 NFL Passing". Pro-Football-Reference.com. Retrieved December 30, 2017. ↑ "Drew Brees' profile – The American version". NewOrleansSaints.dk (in Danish). August 25, 2011. Retrieved February 13, 2019. ↑ "Drew Brees Contract History". Who Dat Warriors. February 15, 2016. Retrieved February 13, 2019. ↑ Kirwin, Pat (February 9, 2011). "Teams must be kicking themselves for not drafting Rodgers". NFL.com. Retrieved February 10, 2011. ↑ "Brees takes money, runs to Saints". ESPN.com. March 14, 2006. Retrieved February 20, 2019. ↑ "2006 New Orleans Saints Statistics & Players". Pro-Football-Reference.com. Retrieved December 30, 2017. ↑ "New Orleans Saints at Tampa Bay Buccaneers – November 5th, 2006". Pro-Football-Reference.com. Retrieved March 23, 2018. ↑ "2006 NFL Week 9 Leaders & Scores". Pro-Football-Reference.com. Retrieved March 23, 2018. ↑ "Cincinnati Bengals at New Orleans Saints – November 19th, 2006". Pro-Football-Reference.com. Retrieved March 21, 2018. ↑ "New Orleans Saints at Dallas Cowboys – December 10th, 2006". Pro-Football-Reference.com. Retrieved March 23, 2018. ↑ "2006 NFL Week 14 Leaders & Scores". Pro-Football-Reference.com. Retrieved March 23, 2018. ↑ "Drew Brees 2006 Game Log". Pro-Football-Reference.com. Retrieved December 30, 2017. ↑ "2006 NFL Pro Bowlers". Pro-Football-Reference.com. Retrieved March 22, 2018. ↑ "2006 NFL All-Pros". Pro-Football-Reference.com. Retrieved March 22, 2018. ↑ "Walter Payton NFL Man of the Year". NFL.com. Retrieved February 20, 2019. ↑ http://www.saintsrevolution.com/forum/index.php?showtopic=10282 Brees, Tomlinson share Walter Payton NFL Man of the Year Award. Retrieved 14 November 2016. ↑ "Divisional Round – Philadelphia Eagles at New Orleans Saints – January 13th, 2007". Pro-Football-Reference.com. Retrieved December 30, 2017. ↑ Wilner, Barry (January 22, 2007). "Bears reach first Super Bowl in 21 years". Sports.yahoo.com. Retrieved November 28, 2008. ↑ "Brees dislocates non-throwing elbow in Pro Bowl". ESPN.com. February 11, 2007. Retrieved November 3, 2017. ↑ "New Orleans Saints at San Francisco 49ers – October 28th, 2007". Pro-Football-Reference.com. Retrieved March 23, 2018. ↑ "2007 NFL Week 8 Leaders & Scores". Pro-Football-Reference.com. Retrieved March 23, 2018. ↑ "Arizona Cardinals at New Orleans Saints – December 16th, 2007". Pro-Football-Reference.com. Retrieved March 23, 2018. ↑ "2007 NFL Week 15 Leaders & Scores". Pro-Football-Reference.com. Retrieved March 23, 2018. ↑ "Drew Brees 2007 Game Log". Pro-Football-Reference.com. Retrieved December 30, 2017. ↑ "NFL Passes Completed Single-Season Leaders". Pro-Football-Reference.com. Retrieved February 20, 2019. ↑ "Oakland Raiders at New Orleans Saints – October 12th, 2008". Pro-Football-Reference.com. Retrieved March 23, 2018. ↑ "2008 NFL Week 6 Leaders & Scores". Pro-Football-Reference.com. Retrieved March 23, 2018. ↑ "San Diego Chargers at New Orleans Saints – October 26th, 2008". Pro-Football-Reference.com. Retrieved March 23, 2018. ↑ "2008 NFL Week 8 Leaders & Scores". Pro-Football-Reference.com. Retrieved March 23, 2018. ↑ "Green Bay Packers at New Orleans Saints – November 24th, 2008". Pro-Football-Reference.com. Retrieved March 23, 2018. ↑ "2008 NFL Week 12 Leaders & Scores". Pro-Football-Reference.com. Retrieved March 23, 2018. ↑ "Drew Brees 2008 Game Log". Pro-Football-Reference.com. Retrieved December 30, 2017. ↑ "NFL Passing Yards Single-Season Leaders". Pro-Football-Reference.com. Retrieved December 30, 2017. ↑ "Kasay helps Panthers solidify NFC's No. 2 seed with win over Saints". Associated Press via NFL.com. December 28, 2008. Archived from the original on March 6, 2009. Retrieved December 28, 2008. ↑ "Saints QB Brees is AP Offensive Player of Year". DeseretNews.com. January 6, 2009. Retrieved February 20, 2019. ↑ "2008 NFL Pro Bowlers". Pro-Football-Reference.com. Retrieved March 22, 2018. ↑ "Three candidates emerge in race for NFLPA president". USA Today. March 18, 2014. ↑ Pelissero, Tom (March 19, 2014). "Brees steps down from NFLPA committee". ESPN. ↑ "Detroit Lions at New Orleans Saints – September 13th, 2009". Pro-Football-Reference.com. Retrieved December 30, 2017. ↑ "2009 NFL Week 1 Leaders & Scores". Pro-Football-Reference.com. Retrieved March 23, 2018. ↑ "New Orleans Saints at Philadelphia Eagles – September 20th, 2009". Pro-Football-Reference.com. Retrieved December 30, 2017. ↑ "New York Giants at New Orleans Saints – October 18th, 2009". Pro-Football-Reference.com. Retrieved December 30, 2017. ↑ "2009 NFL Week 6 Leaders & Scores". Pro-Football-Reference.com. Retrieved March 23, 2018. ↑ "New Orleans Saints at Miami Dolphins – October 25th, 2009". Pro-Football-Reference.com. Retrieved December 30, 2017. ↑ "Atlanta Falcons at New Orleans Saints – November 2nd, 2009". Pro-Football-Reference.com. Retrieved December 30, 2017. ↑ "Carolina Panthers at New Orleans Saints – November 8th, 2009". Pro-Football-Reference.com. Retrieved December 30, 2017. ↑ "New England Patriots at New Orleans Saints – November 30th, 2009". Pro-Football-Reference.com. Retrieved December 30, 2017. ↑ "2009 NFL Week 12 Leaders & Scores". Pro-Football-Reference.com. Retrieved March 23, 2018. ↑ "Dallas Cowboys at New Orleans Saints – December 19th, 2009". Pro-Football-Reference.com. Retrieved December 30, 2017. ↑ "2009 New Orleans Saints Statistics & Players". Pro-Football-Reference.com. Retrieved December 30, 2017. ↑ "Savior Saint". theadvertiser.com. Archived from the original on March 13, 2012. Retrieved May 11, 2011. ↑ "2009 NFL Pro Bowlers". Pro-Football-Reference.com. Retrieved March 22, 2018. ↑ "Bert Bell Award (Player of the Year) Winners". Pro-Football-Reference.com. Retrieved March 22, 2018. ↑ Martel, Brett (December 31, 2009). "Like Williams, Brees prefers to play for record". Associated Press in Seattle Times. Retrieved January 13, 2010. ↑ "Record & Fact Book". NFL.com. NFL.com. Archived from the original on May 13, 2008. Retrieved January 13, 2010. 1 2 3 Jenkins, Lee (2010). "For You, New Orleans". Sports Illustrated. 112 (7): 30. Retrieved February 24, 2015. ↑ Bell, Jarrett (February 7, 2010). "Saints stump Colts 31–17 to win franchise's first Super Bowl title". USA Today. Retrieved February 8, 2010. 1 2 Layden, Tim (November 30, 2010). "New Orleans Saints' Drew Brees named SI's Sportsman of the Year". Sports Illustrated . Retrieved November 30, 2010. ↑ "Minnesota Vikings at New Orleans Saints - September 9th, 2010". Pro-Football-Reference.com. Retrieved March 19, 2019. ↑ "Atlanta Falcons at New Orleans Saints - September 26th, 2010". Pro-Football-Reference.com. Retrieved March 19, 2019. ↑ "Seattle Seahawks at New Orleans Saints - November 21st, 2010". Pro-Football-Reference.com. Retrieved March 19, 2019. ↑ "Wild Card – New Orleans Saints at Seattle Seahawks – January 8th, 2011". Pro-Football-Reference.com. Retrieved December 30, 2017. 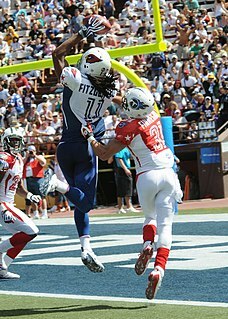 ↑ "NFL Network series ranks the 100 best players of 2011". ↑ "2010 NFL Pro Bowlers". Pro-Football-Reference.com. Retrieved March 22, 2018. ↑ "Top 100: Drew Brees". New Orleans Saints. Archived from the original on March 22, 2018. Retrieved March 21, 2018. ↑ "NFL Triple Crown winners". NFL. June 7, 2014. ↑ "Drew Brees sets single-season passing record as Saints clinch NFC South". ESPN. December 26, 2011. ↑ "Chicago Bears at New Orleans Saints – September 18th, 2011". Pro-Football-Reference.com. Retrieved December 30, 2017. ↑ "Indianapolis Colts at New Orleans Saints – October 23rd, 2011". Pro-Football-Reference.com. Retrieved March 21, 2018. ↑ "2011 NFL Week 7 Leaders & Scores". Pro-Football-Reference.com. Retrieved March 23, 2018. ↑ "New York Giants at New Orleans Saints – November 28th, 2011". Pro-Football-Reference.com. Retrieved March 23, 2018. ↑ "2011 NFL Week 12 Leaders & Scores". Pro-Football-Reference.com. Retrieved March 23, 2018. ↑ "Detroit Lions at New Orleans Saints – December 4th, 2011". Pro-Football-Reference.com. Retrieved December 30, 2017. ↑ "New Orleans Saints at Minnesota Vikings – December 18th, 2011". Pro-Football-Reference.com. Retrieved December 30, 2017. ↑ "400+ pass yds, 5+ TD, 80% comp" . Retrieved December 6, 2016. ↑ Brees, Drew (December 26, 2011). "Thanks to @DanMarino for his class and support during this run. It is an honor to attempt to follow the example he set for us all". ↑ Duncan, Jeff (December 30, 2011). "Records keep piling up for the New Orleans Saints: First-and-10". The Times-Picayune. ↑ "2011 NFL Week 16 Leaders & Scores". Pro-Football-Reference.com. Retrieved March 23, 2018. ↑ "NFL Single-Season Passing Yards per Game Leaders". pro-football-reference.com. Retrieved January 3, 2012. ↑ Cacciola, Scott (December 13, 2011). "The NFL's Mount Passmore". The Wall Street Journal. Archived from the original on January 4, 2012. ↑ "Wild Card – Detroit Lions at New Orleans Saints – January 7th, 2012". Pro-Football-Reference.com. Retrieved December 30, 2017. ↑ "Divisional Round – New Orleans Saints at San Francisco 49ers – January 14th, 2012". Pro-Football-Reference.com. Retrieved December 30, 2017. ↑ "2011 NFL Pro Bowlers". Pro-Football-Reference.com. Retrieved March 22, 2018. ↑ "'The Top 100: Players of 2012': Drew Brees". NFL.com. Retrieved March 21, 2018. ↑ Mortensen, Chris (July 13, 2012). "Sources: Drew Brees, Saints agree". espn.com. Retrieved July 13, 2012. ↑ "Washington Redskins at New Orleans Saints - September 9th, 2012". Pro-Football-Reference.com. Retrieved March 19, 2019. ↑ "New Orleans Saints at Green Bay Packers - September 30th, 2012". Pro-Football-Reference.com. Retrieved March 19, 2019. ↑ "'NFL Films Presents': Brees breaks Unitas' record". NFL. November 24, 2012. ↑ Copeland, Kareem (October 3, 2012). "SEAN PAYTON, JOE VITT ALLOWED TO ATTEND SAINTS GAME". NFL. Archived from the original on October 6, 2012. Retrieved October 3, 2012. ↑ "San Diego Chargers at New Orleans Saints – October 7th, 2012". Pro-Football-Reference.com. Retrieved March 23, 2018. ↑ "2012 NFL Week 5 Leaders & Scores". Pro-Football-Reference.com. Retrieved March 23, 2018. ↑ "2012 New Orleans Saints Statistics & Players". Pro-Football-Reference.com. Retrieved February 13, 2019. ↑ "Falcons pick off Brees 5 times, beat Saints 23–13". CNN. ↑ "2012 New Orleans Saints Statistics & Players". Pro-Football-Reference.com. Retrieved December 30, 2017. ↑ "Drew Brees replacing injured RG3 on NFC's Pro Bowl roster". National Football League . January 9, 2013. Retrieved January 9, 2013. ↑ "2012 NFL Pro Bowlers". Pro-Football-Reference.com. Retrieved March 22, 2018. ↑ "'Top 100 Players of 2013': Drew Brees". NFL.com. Retrieved March 21, 2018. ↑ "Atlanta Falcons at New Orleans Saints - September 8th, 2013". Pro-Football-Reference.com. Retrieved March 19, 2019. ↑ "Miami Dolphins at New Orleans Saints – September 30th, 2013". Pro-Football-Reference.com. Retrieved March 23, 2018. ↑ "2013 NFL Week 4 Leaders & Scores". Pro-Football-Reference.com. Retrieved March 23, 2018. ↑ "Dallas Cowboys at New Orleans Saints – November 10th, 2013". Pro-Football-Reference.com. Retrieved March 23, 2018. ↑ "2013 NFL Week 10 Leaders & Scores". Pro-Football-Reference.com. Retrieved March 23, 2018. ↑ McGarry, Tim (December 8, 2013). "Drew Brees joins the 50,000-yard club". USA Today. ↑ "Carolina Panthers at New Orleans Saints – December 8th, 2013". Pro-Football-Reference.com. Retrieved December 30, 2017. ↑ "Tampa Bay Buccaneers at New Orleans Saints – December 29th, 2013". Pro-Football-Reference.com. Retrieved March 23, 2018. ↑ "2013 NFL Week 17 Leaders & Scores". Pro-Football-Reference.com. Retrieved March 23, 2018. ↑ "Sunday night wrap-up: Brees joins select company". NBC Sports. December 8, 2013. ↑ "2013 NFL Pro Bowlers". Pro-Football-Reference.com. Retrieved March 22, 2018. ↑ "NFL 2013 Playoff Schedule - NFL.com" . Retrieved November 27, 2016. ↑ "'Top 100 Players of 2014': Drew Brees". NFL.com. Retrieved March 21, 2018. ↑ "New Orleans Saints at Atlanta Falcons – September 7th, 2014". Pro-Football-Reference.com. Retrieved December 30, 2017. ↑ "New Orleans Saints at Cleveland Browns – September 14th, 2014". Pro-Football-Reference.com. Retrieved December 30, 2017. ↑ Triplett, Mike (September 15, 2014). "Colston shut out; Brees passes Elway". ESPN.com . Retrieved September 15, 2014. ↑ "NFL Career Pass Completion % Leaders". Pro Football Reference. Retrieved December 30, 2010. ↑ "New Orleans Saints at Pittsburgh Steelers – November 30th, 2014". Pro-Football-Reference.com. Retrieved March 23, 2018. ↑ "2014 NFL Week 13 Leaders & Scores". Pro-Football-Reference.com. Retrieved March 23, 2018. ↑ Terrell, Katherine (December 15, 2014). "Drew Brees extends records in near-perfect game vs. Chicago". The Times-Picayune . Retrieved December 16, 2014. ↑ "2014 NFL Pro Bowlers". Pro-Football-Reference.com. Retrieved March 22, 2018. ↑ "'Top 100 Players of 2015': No. 30 Drew Brees". NFL.com. Retrieved March 21, 2018. ↑ "Dallas Cowboys at New Orleans Saints – October 4th, 2015". Pro-Football-Reference.com. Retrieved December 30, 2017. ↑ "2015 NFL Week 4 Leaders & Scores". Pro-Football-Reference.com. Retrieved March 23, 2018. ↑ Woodbery, Evan (October 4, 2015). "Saints-Cowboys recap". NOLA.com. Retrieved April 19, 2016. ↑ Busbee, Jay. "Drew Brees wins game with 400th career touchdown". Yahoo! Sports. Archived from the original on September 9, 2017. Retrieved November 15, 2015. ↑ "Saints set record with overtime win over Cowboys". ftw.usatoday.com. October 4, 2015. Retrieved February 5, 2016. ↑ "2015 NFL Week 8 Leaders & Scores". Pro-Football-Reference.com. Retrieved March 23, 2018. ↑ "New Orleans Saints at Houston Texans – November 29th, 2015". Pro-Football-Reference.com. Retrieved December 30, 2017. ↑ Dabe, Christopher (December 22, 2015). "Drew Brees sets NFL record with 94th career 300-yard passing game". NOLA.com. Retrieved November 27, 2016. ↑ "Brees sharp despite foot injury, Saints beat Jaguars 38–27". ESPN.com. December 27, 2015. Retrieved November 27, 2016. ↑ Christopher Dabe, "Drew Brees ends season as NFL passing leader for a record sixth time", The Times-Picayune , January 3, 2016. ↑ "'Top 100 Players of 2016': No. 30 Drew Brees". NFL.com. 1 2 3 "Raiders withstand Drew Brees' monster game to win thriller". foxsports.com. September 11, 2016. Retrieved January 4, 2017. 1 2 Dabe, Christopher (October 16, 2016). "Drew Brees tops Peyton Manning for most 400-yard games, and other key numbers from Sunday". NOLA.com. Retrieved October 17, 2016. ↑ Triplett, Mike (September 18, 2016). "Drew Brees moves to third in career passing yards in loss to Giants". ESPN. Retrieved January 4, 2017. ↑ "Carolina Panthers at New Orleans Saints – October 16th, 2016". Pro-Football-Reference.com. Retrieved December 30, 2017. ↑ "Saints' Drew Brees Becomes First With 100 300-Yard Passing Games". www.todayspigskin.com. Archived from the original on September 9, 2017. Retrieved March 1, 2017. ↑ "Drew Brees becomes first player with 100 games of 300 passing yards". New Orleans Saints. Archived from the original on September 9, 2017. Retrieved March 1, 2017. ↑ "Most seasons 35+ pass TD career". pro-football-reference.com. Retrieved December 25, 2016. ↑ "NFL Single-Season Passing Touchdowns Leaders". pro-football-reference.com. Retrieved December 25, 2016. ↑ "2016 NFL Leaders". Pro-Football-Reference. Sports Reference LLC. Retrieved January 4, 2017. ↑ "2016 NFL Pro Bowlers". Pro-Football-Reference.com. Retrieved March 22, 2018. ↑ "New England Patriots at New Orleans Saints – September 17th, 2017". Pro-Football-Reference.com . Retrieved October 28, 2017. ↑ "New Orleans Saints at Buffalo Bills – November 12th, 2017". Pro-Football-Reference.com. Retrieved December 30, 2017. ↑ Erickson, Joel (December 3, 2017). "Drew Brees passes Peyton Manning, moves into second place on career completions list". The Advocate. Retrieved December 10, 2018. ↑ Morale III, Amos (December 31, 2017). "Drew Brees posts highest completion percentage in NFL history". NOLA.com. Retrieved January 2, 2018. 1 2 Pro-Football-Reference profile: Drew Brees; Retrieved September 27, 2013. ↑ "2017 New Orleans Saints Statistics & Players". Pro-Football-Reference.com. Retrieved March 22, 2018. ↑ "Wild Card – Carolina Panthers at New Orleans Saints – January 7th, 2018". Pro-Football-Reference.com. Retrieved March 22, 2018. ↑ "Divisional Round – New Orleans Saints at Minnesota Vikings – January 14th, 2018". Pro-Football-Reference.com. Retrieved March 22, 2018. ↑ "'Top 100 Players of 2018': New Orleans Saints quarterback Drew Brees | No. 8". NFL.com. Retrieved October 6, 2018. ↑ Sessler, Marc (March 13, 2018). "Drew Brees, Saints agree on two-year, $50 million deal". NFL.com. Retrieved March 15, 2019. ↑ Duncan, Jeff (September 9, 2018). "Nobody saw this coming: Saints dealt worst opening loss of Payton-Brees era". NOLA.com. Retrieved March 15, 2019. ↑ "Brees Breaks Favre's Record for Completions". The New York Times. Reuters. September 23, 2018. Archived from the original on September 24, 2018. Retrieved September 23, 2018. ↑ Bergman, Jeremy (September 26, 2018). "Big Ben, Drew Brees among NFL Players of the Week. On October 8th, Bree's broke the record for most passing yards in NFL history". NFL.com. Retrieved March 15, 2019. ↑ Maya, Adam (October 10, 2018). "Drew Brees, Isaiah Crowell among Players of the Week". NFL.com. Retrieved March 15, 2019. ↑ Hendrix, John (October 21, 2019). "Drew Brees becomes 3rd quarterback to beat all 32 NFL teams". Canal Street Chronicles. Retrieved October 29, 2018. ↑ Bell, Jarrett (October 21, 2018). "Saints QB Drew Brees throws 500th career TD pass". USA Today. Retrieved October 21, 2018. ↑ "New Orleans Saints at Minnesota Vikings – October 28th, 2018". Pro-Football-Reference.com. ↑ Martel, Brett (November 4, 2018). "Drew Brees, Saints hand Rams first loss of the season". BostonGlobe.com. Retrieved December 10, 2018. ↑ Kay, Joe (November 12, 2018). "Brees passes Favre with 3 TDs, Saints crush Bengals 51–14". AP NEWS. Retrieved December 10, 2018. ↑ "Drew Brees named NFC Offensive Player of the Month for November". New Orleans Saints. Retrieved December 10, 2018. ↑ "Drew Brees breaks own completion percentage reocrd". neworleanssaints.com. December 30, 2018. Retrieved January 9, 2019. ↑ Partsch, Raymond (December 30, 2018). "Saints choose rest over records". iberianet.com. The Daily Iberian. Retrieved January 9, 2019. ↑ "2018 NFL Passing". Pro-Football-Reference.com. Retrieved March 1, 2019. ↑ "Eagles vs. Saints – Game Recap – January 13, 2019 – ESPN". ESPN.com. Retrieved January 22, 2019. ↑ Silverman, Steve (January 22, 2019). "Rams, Patriots Overtime Victories Make Championship Sunday One For The Ages". Forbes. Retrieved January 22, 2019. ↑ Kirshner, Alex (January 20, 2019). "Missed pass interference on Rams probably cost Saints a Super Bowl spot". SBNation.com. Retrieved March 22, 2019. ↑ Wickersham, Seth (October 16, 2002). "Secrets of the Ya-Ya Brotherhood". ESPN The Magazine. ↑ "Saints QB enjoys life as new dad", AP at Sporting News , January 29, 2009. ↑ Tatum, Doug (August 16, 2012). "Drew, Brittany Brees announce birth of their third son, Callen Christian Brees". NOLA. Retrieved February 4, 2019. ↑ Rousseau, Randi (August 26, 2014). "Drew Brees welcomes baby girl, posts photo of daughter to social media". WDSU . Retrieved March 15, 2019. 1 2 Newman, E (2006). "Drew Brees". Sports Illustrated. 105 (10): 34. Retrieved February 25, 2015. 1 2 Duncan, Jeff (May 30, 2013). "Some New Orleans Saints can't resist lure of life in the big city". The Times-Picayune. ↑ Lynch, Kevin (January 11, 2012). "49ers connection to Brees and Darren Sproles". blog.sfgate.com . Retrieved January 11, 2012. ↑ "Drew Brees: The Saint of New Orleans". ↑ Drew Brees with Chris Fabry, Coming Back Stronger: Unleashing the Hidden Power of Adversity (Tyndale House Publishers, 2010), ISBN 978-1-4143-3943-6. Excerpts available at Google Books. ↑ "Hardcover Nonfiction" bestseller list for New York Times Book Review July 25, 2010 print edition, published online July 16, 2010. ↑ "Drew Brees' book will debut at No. 3 on the New York Times best sellers list", Times-Picayune , July 15, 2010. ↑ "Austin news, sports, weather, Longhorns, business". Statesman.com. November 16, 2009. Retrieved May 11, 2011. ↑ Notice of death of Mina Brees, Drew Brees's mother, nfl.fanhouse.com; August 9, 2009. ↑ "Brees wants no part of mom's campaign in Texas", AP, October 31, 2006. ↑ Jason Cole, "Mom's death makes Brees blink, but focus remains", Yahoo! Sports, August 12, 2009. ↑ "Brees hopes memoir will help inspire others who face adversity". NFL. Associated Press. July 6, 2010. ↑ "Brees on cover of 'Madden NFL 11'", ESPN , April 22, 2010. ↑ Mallozzi, Vincent M. (January 29, 2011). "30 Seconds with Saints Quarterback Drew Brees". New York Times. Retrieved November 22, 2012. ↑ Leonard, Tod (November 30, 2009). "Brees a godsend for Saints". San Diego Union-Tribune . Archived from the original on December 3, 2009. Retrieved December 9, 2009. ↑ Langenhennig, Susan (November 30, 2009). "New Orleans Saints fans get creative: What Who Dats are wearing". Times-Picayune . Retrieved December 9, 2009. ↑ Duncan, Jeff (November 2, 2009). "Breesus' is the reason for potentially perfect season". Times-Picayune . Retrieved December 9, 2009. ↑ Broder, John (July 10, 2012). "'COOL BREES' IGNITED PURDUE, BUT CAN HE GENERATE ENOUGH HEAT TO BURN UP THE NFL?". ESPN. ↑ "AdvoCare and NFL World Champion Drew Brees Take Relationship to the Next Level". Advocare Press Release. March 30, 2010. Archived from the original on December 4, 2010. Retrieved November 14, 2010. ↑ AdvoCare Policies, Procedures, and the Compensation Plan Archived October 9, 2011, at the Wayback Machine , advocare.com; accessed May 11, 2014. ↑ Kaiser, Tom (August 25, 2016). "Saints QB Drew Brees suits up for his next franchise gig". Franchise Times . Retrieved February 20, 2017. ↑ Dabe, Christopher (June 10, 2014). "Drew Brees plans to open several more Jimmy John's sandwich shops in New Orleans region, magazine reports". NOLA.com. Retrieved March 15, 2019. ↑ King, Peter (January 18, 2010). "The Heart Of New Orleans: He's been the NFL's most prolific quarterback over the past four years, but to the city that has adopted him, Drew Brees is much more – a driving force in the ongoing effort to rebuild and renew". Sports Illustrated . Archived from the original on January 16, 2010. Retrieved January 15, 2010. ↑ Schmidt, Jake (June 28, 2013). "Drew Brees' foundation makes donation to Purdue organization". Purdue Exponent . Retrieved March 15, 2019. ↑ "Brees has New Orleans howling". Associated Press. January 14, 2007. Retrieved February 22, 2007. ↑ "A Saint in the City: No Off-Season as Brees Helps New Orleans Rebuild". The New York Times. Associated Press. May 13, 2007. Retrieved December 19, 2007. ↑ Corbett, Jim (July 6, 2007). "Brees Becomes Patron Saint of New Orleans". USA Today. Retrieved December 19, 2007. ↑ "Rebuilding Through Brotherhood". drewbrees.com. Retrieved December 10, 2018. ↑ "Transcript of Drew Brees Interview: Scott and BR Interview with Drew Brees On Guantanamo Bay". Sports Radio. July 9, 2009. Archived from the original on August 3, 2009. Retrieved August 3, 2009. ↑ Duncan, Jeff (July 30, 2009). "Drew Brees raises eyebrows with comments about Guantanamo Bay". NOLA. Archived from the original on July 30, 2009. Retrieved July 30, 2009. ↑ Weir, Tom (July 10, 2009). "Drew Brees weighs in on his trip to Gitmo". USA Today. Archived from the original on August 3, 2009. Retrieved August 3, 2009. ↑ "Guantanamo Bay inmates are having a grand time, says Drew Brees". Yahoo News Yahoo Sports. July 30, 2009. Archived from the original on August 3, 2009. Retrieved July 30, 2009. ↑ "Operation Kids: Until Every Child Is OK". Operationkids.com. Retrieved November 28, 2008. ↑ Krupa, Michelle (December 12, 2009). "New Orleans Saints quarterback Drew Brees to reign as Bacchus during 2009 Carnival". NOLA.com. Times-Picayune . Retrieved January 15, 2010. ↑ Oldenburg, Ann (June 24, 2010). "Michelle Obama jumps rope, emphasizes nutrition". USATODAY.COM. Retrieved February 20, 2019. ↑ "First Lady Launches President's Council on Fitness, Sports and Nutrition" Archived June 26, 2010, at the Wayback Machine , White House press release, June 23, 2010. ↑ Florio, Mike (October 16, 2010). "Drew Brees stands up to bullies". Profootballtalk.nbcsports.com. Retrieved May 11, 2011. ↑ "Saints QB Drew Brees sues over millions spent at San Diego jewelry store". www.cbs8.com. April 3, 2018. Retrieved February 20, 2019. ↑ Hoffower, Hillary (June 29, 2018). "Drew Brees is suing a jeweler for $9 million, saying he was overcharged by millions for diamonds". Business Insider. Retrieved February 20, 2019. Wikimedia Commons has media related to Drew Brees .